Hot on the heels of news that Apple has set aside $1 billion for original TV programming over the next year, Netflix revealed on Wednesday that it will spend seven times that amount in 2018. In a new interview with Variety, Netflix's chief content officer Ted Sarandos quoted the number of $7 billion, which is up from more than $6 billion in 2017 and $5 billion in 2016. The vast majority of Netflix's budget is spent on licensed content, but the company is working towards balancing that out with more in-house content over the next couple of years, Sarandos said. Some analysts and industry insiders are skeptical of the company's spending habits, arguing its stock is overinflated (it's soared to more than $170 a share, up from around $50 in early 2014, adjusted for a 2015 stock split). "We're not spending money we don't have," Sarandos counters. "We're spending revenue." The company reports its debt load is $4.8 billion, with an additional $15.7 billion in long-term content commitments with studios. "We have one of the low debt levels in the industry," insists Sarandos. Using its budget, Netflix has produced some successful regional TV series such as the German show "Dark". The company hopes to increase that number to up to 100 series in the next couple of years. Netflix is also continuing to push into reality TV programming, with 50 unscripted shows coming to the streaming service next year. Feature films are already on the company's radar, with movies such as War Machine and Sandy Wexler having already debuted, and Bright starring Will Smith set for release in December. 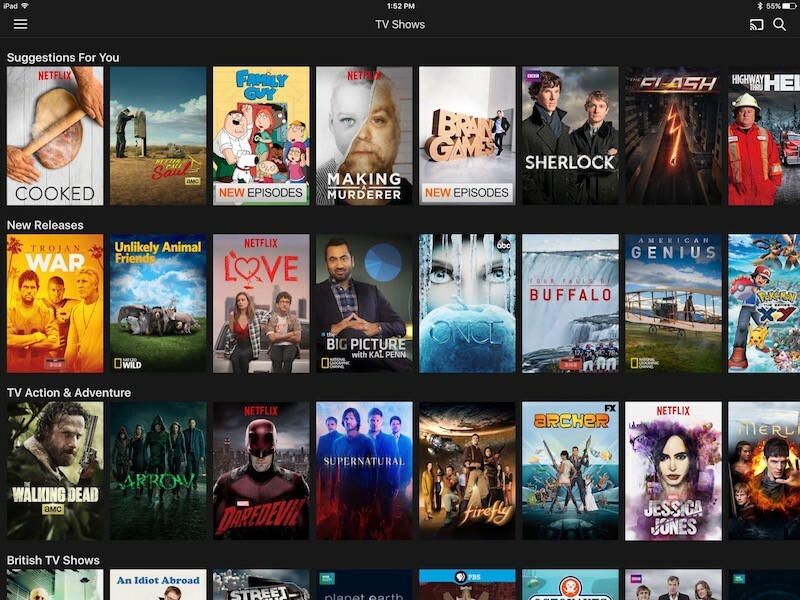 For its part, Apple is said to be planning to procure and produce up to 10 original TV shows over the next year as it seeks to make up ground on services such as Netflix and Amazon. The $1 billion budget figure is about half of what Time Warner's HBO spent on content last year and around the same amount as Amazon spent in 2013, after it announced its own move into original programming. Apple has already kicked off its original programming schedule with "Planet of the Apps" and "Carpool Karaoke", although both shows have come in for criticism from reviewers. I would pay a lot of money to have a streaming service based on iTunes' movie library. All this original content crap is just a content filler because no one in the industry can offer a proper streaming service. With 20 billion in debt and they're burning through cash like its going out of style, they will be facing a reckoning. Doubtful. At least not anytime in the next 20 years. By which time they will be profitable. They don't have 20 years, if they keep piling on the debt. Netflix is 20b in debt? Not really in the mood to look it up but if so that's crazy! Netflix spent $120m on original content in their first year. Now Apple is spending more than 8x that figure and some think it's not enough or something? Weird. I cancelled my Netflix subscription because I got tired of all of the original content. I had originally signed up for all of the content from different networks, but at least in Europe much of that has disappeared (or simply not been updated) in recent years while they have been pushing their own content (which I don't care about). Glad regional TV was mentioned. For me, that's the key to unlocking international markets. Netflix are making such smart decisions. For now, and that's the point of the article I linked too, yes the investment community seems to approve of their tactics, but I agree with the author of the article and its quite possible, even probable in my opinion that they'll be in deep weeds with that much debt. Apple has never said that their intent is to compete with Netflix. Most of their projects have been Apple Music oriented. Then why spend any there money at all? Apple should either do it right or leave it alone. You know, like they used to do.